Once a dominant retail force, Enfield Square Mall has struggled in recent years. While Laurie Whitten doesn’t think the recent opening of MGM Springfield, a few miles north over the Massachusetts border, is a negative, neither is she convinced the incoming traffic does much for nearby Enfield, Conn. The same goes for a casino expected to open in East Windsor, Conn. in the spring of 2020. 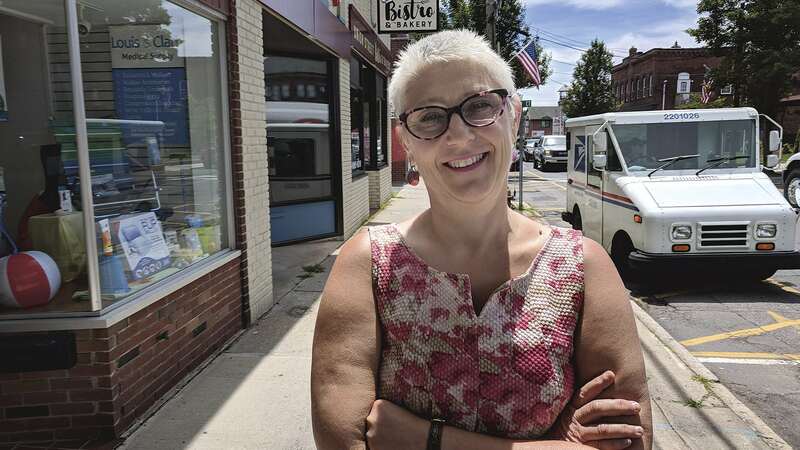 But Enfield isn’t looking to surrounding towns for energy, she added; instead, it’s busy creating its own — and she’s excited about the future. Take the planned transformation of the Thompsonville neighborhood on the Connecticut River, with an intermodal transit center as the centerpiece of a walker-friendly village. Part of this effort is a river-access project to be funded through a $3.4 million Federal Highway Administration grant. The bulk of the money is being used for riverfront improvements, including the construction of a biking and walking path from Freshwater Pond to the riverfront. 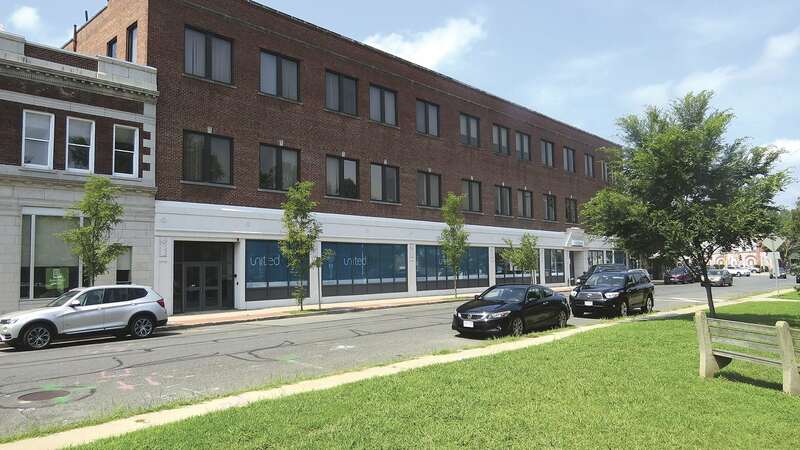 In addition, last year, Eversource signed an access agreement with the town to allow environmental site assessment work to be done to determine the extent of contamination on its North River Street property near the station. TRC Solutions is under contract to perform the work. Depending on the results of that survey, if the site needs to be remediated or capped, the transit center could be looking at a three- to five-year timeline. In the meantime, the state will build a basic rail station, with an elevated, double-tracked platform on each side. Later on, the town will build in some parking, bus facilities, and outdoor recreation, including walking trails and overlook areas so people can enjoy the view of the river. Meanwhile, a Complete Streets plan with new bike paths is under consideration, and renovations at the former St. Adalbert School, which stood vacant for 12 years, are almost complete as developer William Bellock turns it into an apartment building with 20 one-bedroom units, less than a quarter-mile from Town Hall. Enfield has seen an influx of manufacturing, warehousing, and distribution businesses over the past few years, which is a positive for a town that continues to diversify away from its traditional reputation as a retail center. The corridors of Routes 220 and 190, bordering Enfield Square Mall, continue to be a bustling mix of restaurants and retail, but the mall itself, heavily buffeted by store departures over the past decade, doesn’t draw nearly the traffic it used to. 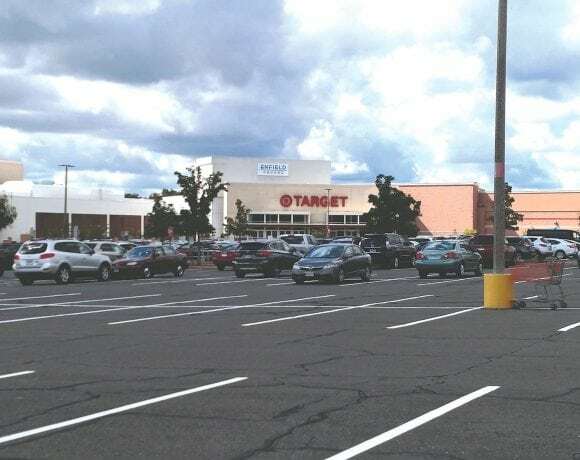 An example is Panera Bread, which was recently approved for an outbuilding in the nearby Home Depot plaza — but will be leaving the mall to get there. Still, Enfield’s growth in the manufacturing, warehousing, and distribution sectors, as well as a strong uptick in small and sole-proprietor businesses over the past few years — reflecting an entrepreneurial wave the entire region has experienced — remain positive signs. So are community-building events like the popular Enfield Regional Farmers Market, which runs every Wednesday from July through mid-October, featuring farm-fresh fruit and vegetables, artisan goods, musical entertainment, and a food truck. Meanwhile, the Thompsonville Community Garden, established a decade ago by the town of Enfield, the University of Connecticut Master Gardener Program, and a grant from the Department of Energy and Environmental Protection, has been a popular program as well. The garden features 50 raised garden beds, which are rented for the planting season; the rental includes use of tools, seeds, starter plants, compost, water, and educational sessions — and a sense of community for Enfield gardeners who want to grow their own organic vegetables. 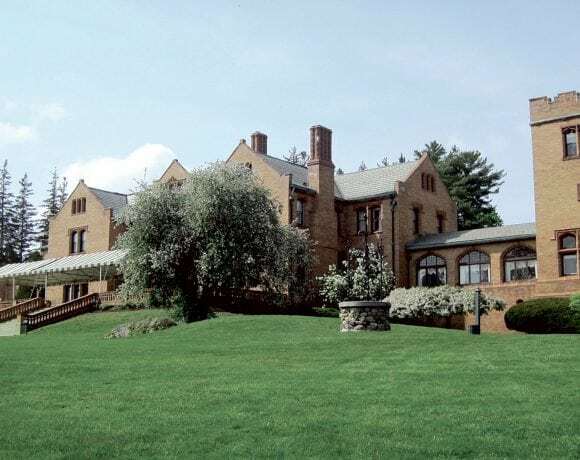 Organic growth is something Whitten would like to see on a town-wide basis, of course, noting that Enfield is an attractive location for a number of reasons, including its location between Boston and New York, along I-91, and close to Bradley Airport. “I think there’s a lot of potential in our location,” she told BusinessWest. With the Thompsonville transit center on the horizon and the town continuing to leverage its location and amenities, this community that lies between what will eventually be two casinos is betting big on its future as a business and lifestyle destination. The former Cranwell Spa & Golf Resort is undergoing a $60 million renovation and expansion by the Miraval Group. 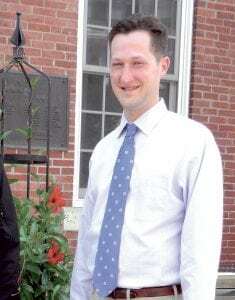 As its town manager, Christopher Ketchen is certainly bullish on Lenox. Lenox may be known mainly — and deservedly — for its cultural and recreational attractions, from Tanglewood, the summer home of the Boston Symphony Orchestra, to Shakespeare & Co., to the town’s collection of rustic inns and bed and breakfasts. 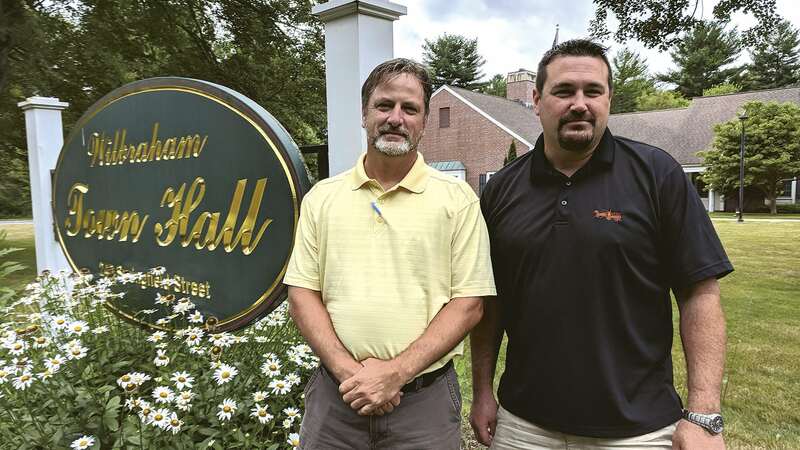 But a different sort of economic energy has been bubbling up in recent years, from the small businesses, hotels, and motels springing up along the Route 7 corridor to an ongoing, $60 million expansion and renovation at the former Cranwell Spa & Golf Resort. The Miraval Group, a subsidiary of Hyatt Hotels, purchased the property in 2016 for $22 million and plans to transform it into a high-end wellness resort. Then there’s the new Courtyard by Marriott, which opened last year and features 92 rooms with panoramic views, an indoor pool, a large patio with firepits, a restaurant, and a 12,000-square-foot event space. Meanwhile, the 112-room Travaasa Experimental Resort at Elm Court, which straddles the Lenox and Strockbridge line, is moving forward as well. Other projects in recent years include the relocation of Morrison’s Home Improvement Specialists Inc. from Pittsfield and its adaptive reuse of a blighted building that had been vacant for 10 years, an apartment conversion at the Walker Street Residences by the Allegrone Companies, and the construction of Allegrone’s headquarters and co-working office space using green design and technology in a building on Route 7. Chris Ketchen says Lenox is a draw because of its schools, healthy finances, cultural offerings, and a host of other factors. In some ways, Lenox doesn’t need the kind of business growth other towns and cities do, because its strengths have long lay in both tourism for visitors and quality of life for residents. 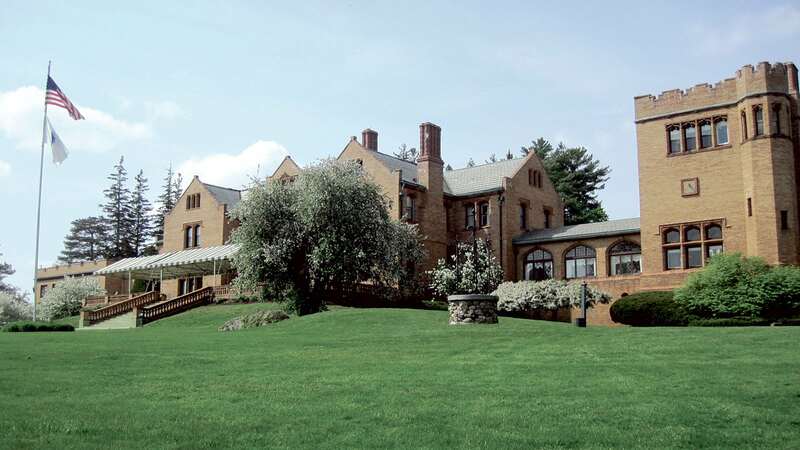 “The town has gotten a fair amount of regional and national recognition in recent years for the schools and for the town’s financial practices,” Ketchen said, noting that Lenox is just one of two Massachusetts municipalities west of the Connecticut River whose finances have AAA ratings from Standard & Poor’s, the other being Great Barrington. The state seeks 10% of housing units in any town to be affordable, but in Lenox, the current level is just over 7%, based on the 2010 Census. The town has also been undertaking significant infrastructure improvements in recent years, the latest announcement being a $9 million, federally funded widening and improvement of a stretch of Walker Street, in addition to water and sewer improvements there. “We’ve been investing heavily in infrastructure through aggressive capital-improvement programs,” Ketchen said. To address an aging population — the median age of residents is 51, reflecting a trend in other towns in the Berkshires — town officials created a first-time-homebuyers program in 2016 in partnership with four banks that offers up to $10,000 in down payments to qualified applicants. They also changed zoning requirements to make it easier to build new apartments and condominiums or convert older housing stock into appealing residences, as well as adopting a Complete Streets policy that will make the town eligible for state funds to improve connectivity for pedestrians and bicyclists. Meanwhile, to address a dearth of of market-rate apartments in Lenox, Allegrone Companies completed a renovation last year of the 1804 William Walker House, transforming it into eight market-rate apartments. 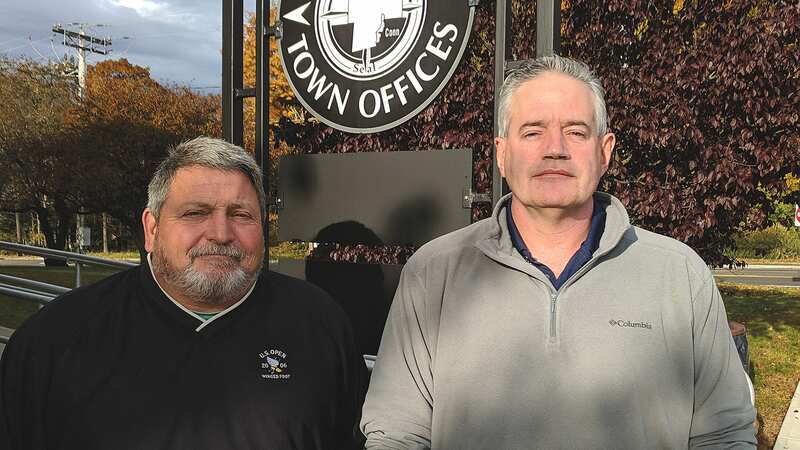 To encourage companies to move to Lenox or expand, town officials have been focused on a five-year open-space plan that was adopted several years ago. “We have an open-space and recreation plan that was really well-conceived by the Conway School in conjunction with our Land Use Department, and we’re a few years into executing that plan to preserve open space,” Ketchen said, noting projects like a major improvement to Lenox Town Beach at Laurel Lake last year. In addition, the Berkshire Natural Resources Council, the regional land trust, has been working to develop a regional trail network with a long section passing through Lenox. Add it all up, Ketchen said, and this town of just over 5,000 residents has plenty to offer. 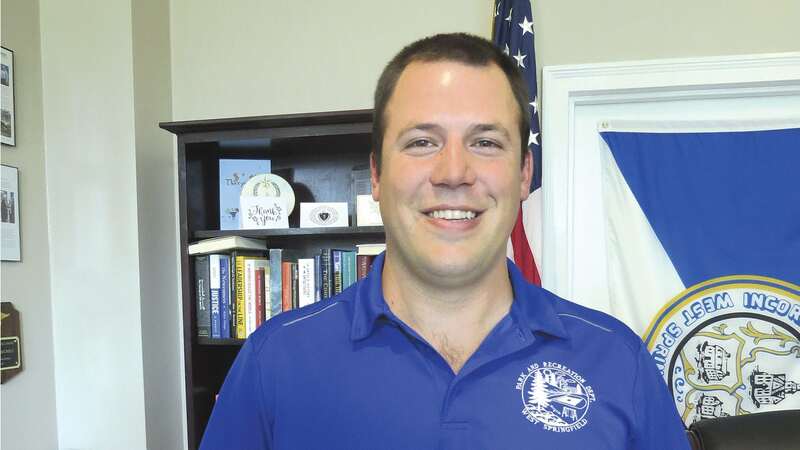 He added that the town’s tax rates are low — $12.14 for residents and $14.98 for businesses — and relatively stable from year to year. 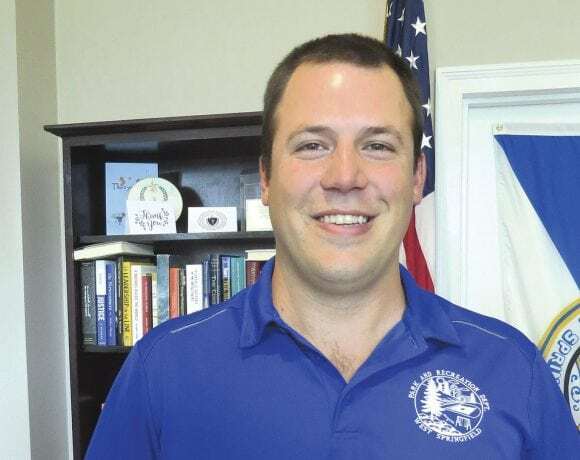 Mayor Will Reichelt says that West Springfield’s biggest challenge may be a lack of developable land, which places a priority on maximizing existing real estate. Like just about everyone else in this region, Will Reichelt has circled August 24 on all his calendars. That’s the day MGM Springfield opens, as most everyone knows, and it’s a day of high expectations and some anxiety. Especially in West Springfield, where Reichelt has served as mayor for nearly three years now. West Side isn’t the host city for MGM, but it is certainly among those to be the most impacted by the $960 million development that has gone up just across the Connecticut River. The Eastern States Exposition will handle MGM’s overflow parking on August 24, with a shuttle running between the two locations. And the annual 16-day Big E will begin only a few weeks after MGM opens, creating considerable talk — as well as that aforementioned anxiety — about just what traffic will be like on Memorial Avenue, I-91, the Turnpike’s exit 4, the Memorial Bridge, Route 5, the North End Bridge, and other arteries in and around the city. He added, as others have, that traffic and parking issues in the wake of MGM Springfield fall into the category of good problems to have, at least from a vibrancy standpoint. And looking beyond August 24 and the days to follow, Reichelt is hoping, and perhaps also expecting, that MGM will generate, in addition to traffic issues, some additional development opportunities. More specifically, he was referring to redevelopment of some vacant or underutilized properties there and in other areas within the community, which has been the basic M.O. for this city for quite some time. Indeed, unlike neighboring Westfield and many other area communities, West Side is, as they say in development circles, ‘land poor,’ meaning that most all developable parcels have been developed. That goes for residential development — although a few new small projects seem to materialize each year — and especially commercial development. Most of the projects in that latter category have involved reuse of vacant or underutilized property, and examples abound — from the conversion of the former Yale Genton property and some neighboring homes on Riverdale Street into the site of the massive Balise Honda, to the conversion of the former Boston Billiards site just north on Riverdale Street into a new Marriott Courtyard. The most recent example is the stunning transformation of a former auto body shop just off Memorial Avenue into the home of Hot Brass, an indoor firearm and bow range that opened its doors in early August. Reichelt said MGM could help trigger more developments of this kind on sites ranging from the old Medallion Motel property just over the Morgan-Sullivan Bridge linking the community to Agawam and across from The Big E, to the United Bank building on Elm Street street (the bank is moving across the street into space once occupied by Webster bank), to some properties north of I-91 on Riverdale Street, which are in less demand than those on the south side of the highway. 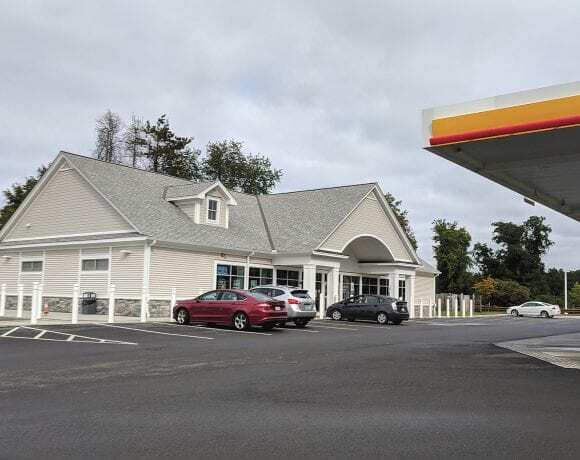 “South of I-91 is the real hot spot; whenever there’s a vacancy, it usually fills quickly,” said Reichelt, adding that the city’s board goal is to the make the area north of the interstate just as hot. For this, the latest installment in its Community Spotlight series, BusinessWest talked with Reichelt about ongoing efforts to bring more economic development to West Side and make the very most of the property that can be developed. The ambitious Hot Brass venture, which combines a retail sporting goods store with a 17-lane recreational archery and shooting range, is, indeed, only the latest example of how underutilized properties have found new lives in this community. And, as the mayor noted, this is out of necessity, because there are very few, if any, developable spaces left in this city, for either residential or commercial development. Developers keep finding ways to shoehorn in smaller residential projects, he went on, but on the commercial and industrial side, the city has essentially run out of real estate. And, as has been the case for some time now, most development — or redevelopment — efforts have been focused on the two main retail thoroughfares, Riverdale Street, home to countless auto dealerships, the massive Riverdale Shops, a cinema complex, several hotels and motels, and more, and Memorial Avenue, home to more auto dealerships, more retail plazas, and, of course, the Big E.
Both are doing very well, and are in seemingly constant motion, development-wise, said Reichelt, adding that over the past few years, Memorial Avenue had added new Fathers & Sons Audi and Volkswagen dealerships, a Chipotle, a new Florence Bank branch, and, most recently, Hot Brass, and a Sketchers outlet store. Meanwhile, on Riverdale Street, additions to the landscape include the Marriott Courtyard, a new Pride store (the first one with a full-service kitchen), and a Balise carwash, among others. But there are opportunities on both main drags for additional development, said the mayor. On Riverdale, these include the site of the closed Bertucci’s restaurant, just south of the new Marriott Courtyard, and some vacant or underutilized property on the north side of the highway. As for Memorial Avenue, there’s the former Medallion Motel site, but also the closed Hofbrauhaus restaurant, the site of the closed Debbie Wong restaurant (across the street from the Big E), and others. The United Bank building on Elm Street, soon to be vacated by the bank, is one of the keys to bringing more vibrancy to the downtown area. The Medallion Motel site, at the corner of Memorial Avenue and River Street, is intriguing because of its size and proximity to the Big E, although its location, just over the Morgan-Sullivan Bridge, a site of persistent traffic congestion, is seen by some as a drawback, said the mayor, adding quickly that reconstruction of the bridge and a broad plan to redo all of Memorial Avenue from the Morgan Sullivan Bridge to the Memorial Bridge may change that outlook. Work is slated to begin in 2021, said Reichelt, with plans calling for maintaining four lanes between the Memorial Bridge and Union Street, with some turning lanes carved out in the center (lack of such lanes leads to considerable congestion), with three lanes between the Morgan-Sullivan Bridge and Gate 9 of the Big E, with turning lanes added on that stretch as well. Meanwhile, there will be a bike path constructed on the Big E side between the Morgan-Sullivan Bridge and Union Street, with bike lines on both sides between Union Street and the Memorial Bridge. As for the much-anticipated reconstruction of the Morgan-Sullivan Bridge itself, that work is expected to commence after this year’s Big E concludes, said the mayor. Back on Riverdale Street, one of the main goals at present is to stimulate more interest in the section north of the highway. And for many retailers, it remains a much tougher sell. But while Riverdale Street and Memorial Avenue get most of the attention, community leaders are also focusing efforts on an often-overlooked asset — what’s considered the downtown area, the stretch of Elm Street beginning at Park Street. 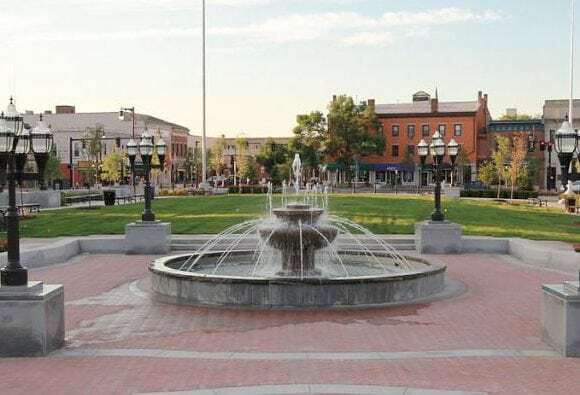 That section boasts the Majestic Theater, a few restaurants, including B-Napoli, the town library, a few banks, and some retail, and has considerable potential as a destination, said the mayor. The downtown section is hampered by a lack of parking, as many downtowns are, he noted, adding that a recent renovation of the municipal lot by City Hall to add more than 100 spaces will help. One key moving forward is the United Bank building, which sits adjacent to the Majestic Theater and is around the corner from the city’s offices. Years ago, the space occupied by the bank was home to a number of small retail shops, said the mayor, adding that a similar mixed-use role — with residential as possibly part of the mix — could help bring more people, and more vibrancy, to that section of the city. Meanwhile, there are a number of municipal projects ongoing, everything from construction of a new elementary school, to infrastructure work including water and sewer projects, to ongoing improvements to Mittineague Park, all aimed at making the city a better place to live and work. 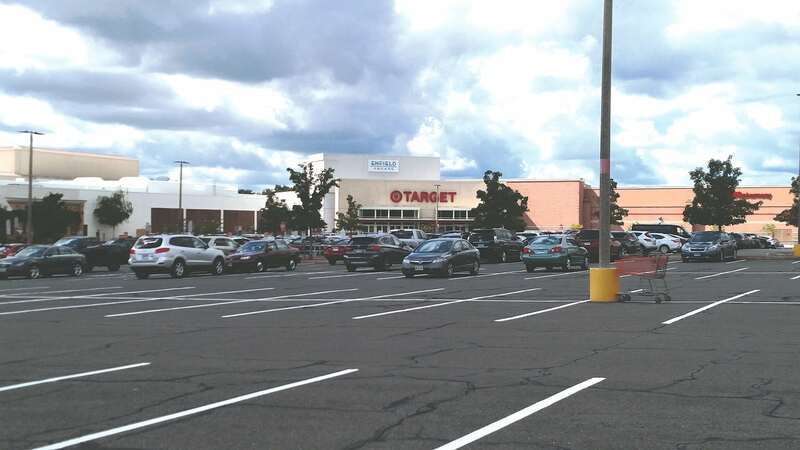 Projecting ahead to August 24 and the days to follow, Reichelt said West Springfield residents, those who commute through the city, and even retailers on Memorial Avenue should be ready for what’s to come because they’ve dealt with Big E traffic for years. “They know what to expect,” he said, adding that long-term, it’s a little harder to predict just what will transpire. Overall, for the city across the river from the casino, the changing landscape presents many new opportunities to put some older properties to new and exciting uses. There’s been a lot of that in West Springfield over the past several years and there are very good odds (yes, that’s a gaming industry term) that there will be much more in the years to come. Bob Boilard (left) and Jeff Smith say they’d like to see more civic participation in policy discussions and planning town events. 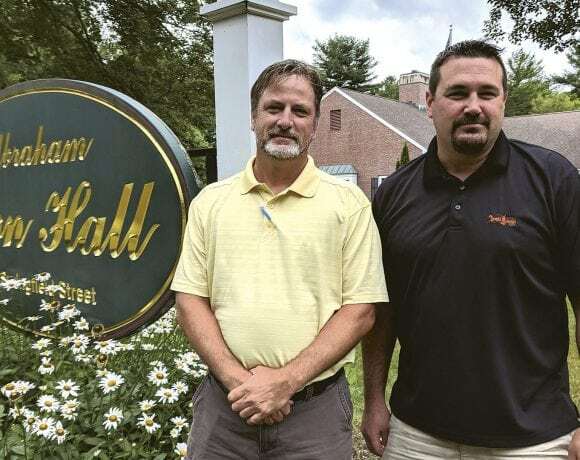 Being pro-business, Jeff Smith says, doesn’t mean letting just any business set up shop in Wilbraham — but it does mean giving every business a fair shake. Take, for example, Iron Duke Brewing, which is moving to town after a successful but eventually contentious stay at the Ludlow Mills. Because Wilbraham had no zoning for microbrew and brewpub establishments, the town’s Economic Development Initiative Steering Committee (EDICS) recommended a zoning change that eased the path for not just Iron Duke, but also Catch 22 Brewing, which is setting up shop at the former Dana’s Grillroom on Boston Road. “One of the reasons why [Catch 22] said they came here was because we had specific zoning for what they wanted to do,” said Smith, the town’s Planning Board chairman, giving one example of how a zoning change can have effects beyond its initial motivation. The same thing happened when the town lifted a long-time moratorium on new gas stations. 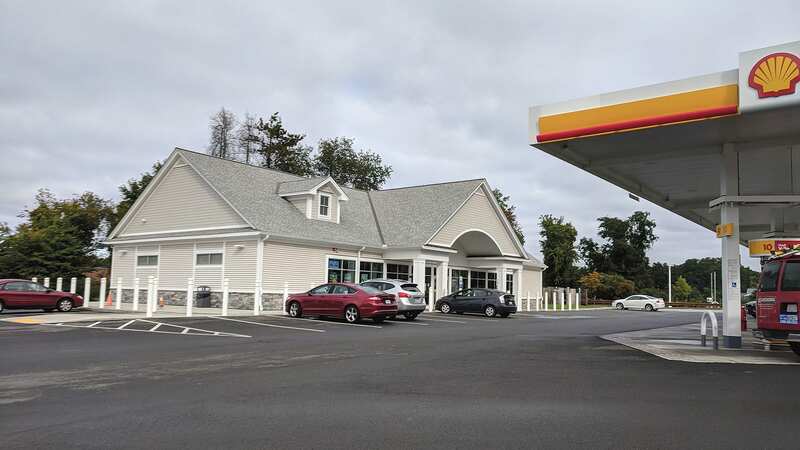 As soon as that happened, Cumberland Farms bought some real estate in Post Office Park along Boston Road, with plans to open a 24-hour facility. Bob Boilard, who chairs Wilbraham’s three-member Board of Selectmen, said he’s not an advocate of locking up decent, buildable land in perpetuity, or keeping out entire classes of businesses for no reason. Boilard said the town has worked in recent years to streamline the process for businesses to set up shop there. One project the group wants to tackle is creating a comprehensive section on the town’s website to answer all those questions. “They’re proposing updating the website to a more modern platform that’s more user-friendly, and then adding a business or a ‘locating your business here’ page that would essentially have a checklist: the first step is to talk to this person, here’s their phone number, here’s their e-mail. The committee is also looking into creating marketing materials, both online and in print, outlining what Wilbraham has to offer — such as its access to rail and a single tax rate — that make it appealing to locate a business here. Not every development proposal has gone according to plan. A recent effort to allow a mixed-use development in the town center, in the area of Main and Springfield streets, failed to garner the necessary two-thirds approval at a town meeting, falling short by about a dozen votes. But it can be tricky, he went on, when a developer wants to move forward with a proposal that could create added energy in the center, especially when other mixed-use facilities, grandfathered in when the town put a hold on others like it, already exist. For example, Smith said, the Boston Road business corridor was originally built around retail, but bricks-and-mortar retail establishments struggle in the age of Amazon, and the concept of what a downtown or business center looks like today has shifted immeasurably since the 1970s, or even the 1990s. That said, several new subdivisions have gone up in recent years, with a trend toward modestly sized houses, which are selling faster than larger homes, and developers are designing projects accordingly, Smith said. One area Wilbraham does need to improve, both Boilard and Smith said, is in the area of volunteerism and civic involvement. Boilard agreed. “People complain we don’t have an event, but nobody wants to volunteer to run it. It’s always the same core people stepping up to volunteer,” he said, adding that this trend applies to town-meeting attendance as well. 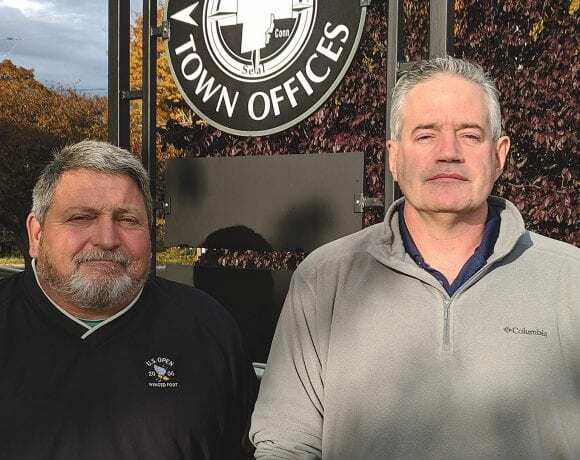 After all, he and Boilard said, engaged residents are informed residents, all the better equipped to steer Wilbraham into its next phase of controlled growth. Moe Belliveau says there’s strength in numbers, and in collaboration, when it comes to promoting a city and its region. 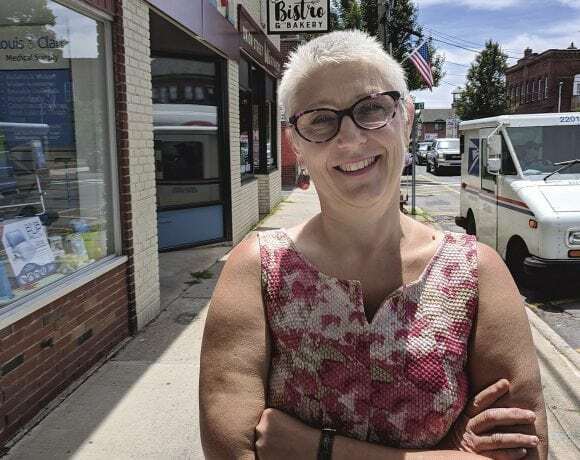 As executive director of the Greater Easthampton Chamber of Commerce, Moe Belliveau has a good view of what has become one of the region’s more unique and energetic small cities. It’s also a community where a raft of businesses have launched recently — many of them catering to leisure time and quality of life, like arts establishment #LOCAL Gallery; restaurants like Daily Operation, a casual eatery, and Kisara, a Japanese and Korean barbecue; and additions to Eastworks like Prodigy Minigolf and Gameroom, the Coffee Mill, and Puzzled Escape Games. 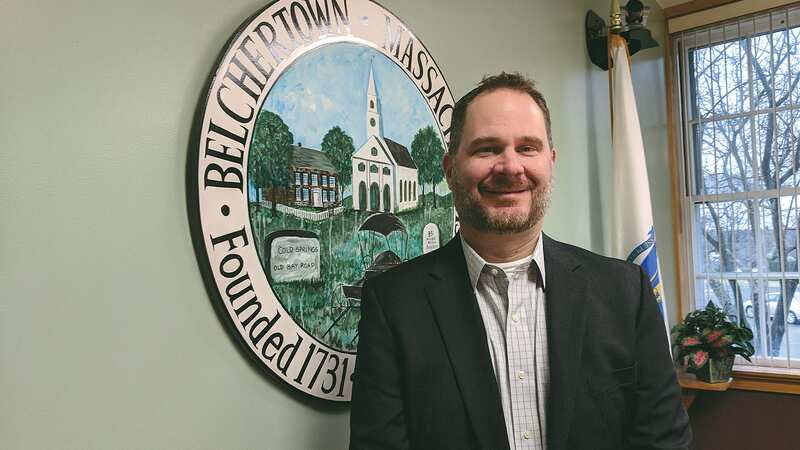 “I like to say that Easthampton’s hip, cool, wow, and now — as is its chamber,” said Belliveau, who arrived to lead the body four years ago after a stint with the Westfield Business Improvement District. 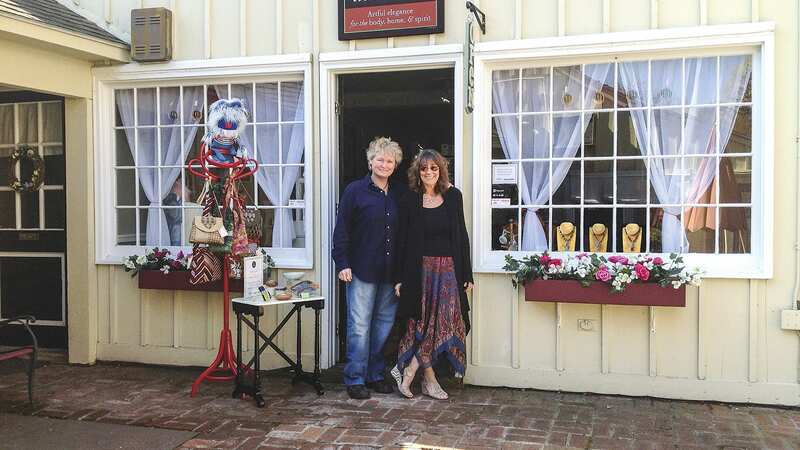 Since then, she has been leading a shift from simply organizing events to a more holistic, collaborative approach that brings value to chamber members and creates more vibrancy in the town’s business community. In short, the chamber has become not only more member- and community-focused, through events like ‘listening lunches’ with area businesses, but also more collaborative with other area communities and their chambers. It’s one way Easthampton’s is creating energy and buzz in its growing business community — and it’s far from the only way. Take, for example, a new partnership with the Amherst Area and Greater Northampton chambers, called the Hampshire Regional Tourism Council. Among its first accomplishments was the publication last September of the first Hampshire County Tourism Guide, a colorful, comprehensive compendium of the three communities’ restaurants and hospitality businesses, tourist attractions, recreational opportunties, shopping and wellness options, and more. The concept behind the three-city collaboration is that Easthampton, Northampton, and Amherst are all known for arts and culture, food, and a generally eclectic mix of businesses that both serve residents and draw tourists — but they’re different from each other in many ways, too, and by promoting themselves as one mini-region, the hope is that all will benefit. Largest Employers: Berry Plastics Corp., Williston Northampton School; National Nonwovens Co.
Another example is “The Art of Risk,” a women’s leadership conference the Greater Easthampton Chamber presented last fall in collaboration with the Greater Holyoke Chamber. It featured keynote speaker Angela Lussier, founder of the Speaker Sisterhood, a business devoted to helping women find their voice. 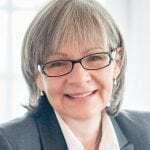 “That event was a sold-out success, so we’re looking to do that again,” Belliveau said, referring to the second annual conference, slated for Sept. 28 at the Log Cabin in Holyoke, featuring keynoter Valerie Young, an author and public speaker who’s also an expert on the impostor syndrome, a common psychological pattern that breeds doubt and fear in potential leaders, and keeps them from realizing their potential. The event will also feature morning breakout sessions in “The Art of Self-promotion,” “The Art of Leadership,” “The Art of Balance,” and “The Art of Storytelling,” followed by an afternoon panel featuring local women sharing personal stories of personal or professional risk. Other workshops organized by the chamber, both alone and in collaboration with other groups, have convinced Belliveau there’s an appetite for such outreaches, especially those that are interactive in design. “It’s really helped me to see what kinds of information the business community finds helpful. 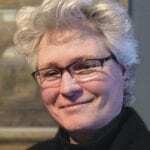 It’s not just sitting all day listening, but adding tools to their toolbox,” she told BusinessWest. Even the city’s cultural events reflect this desire for collaboration. For example, #LOCAL Gallery will open a new exhibit on July 14. 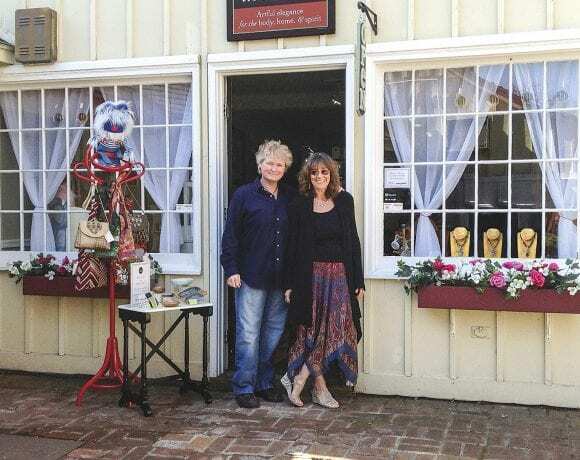 The 12 artists displaying their works in “An Excursion in Color,” organized and curated with the help of color consultant Amy Woolf, will be joined by Prindle Music School owner Dan Prindle and musical guests to provide entertainment. Meanwhile, flowers from Passalongs Farm & Florist will add more aesthetic appeal to the event. The city also continues see a continued reuse of old mill buildings — as one example, Erin Witmer opened the Boylston Rooms, a quirky meeting and event space, in the Keystone building on Pleasant Street last year. Meanwhile, Easthampton’s three breweries — Fort Hill, Abandoned Building, and New City — continue to grow, while Valley Paddler, launched last year, has been a success offering paddleboats for use on Nashawannuck Pond. An eclectic mix? For sure. 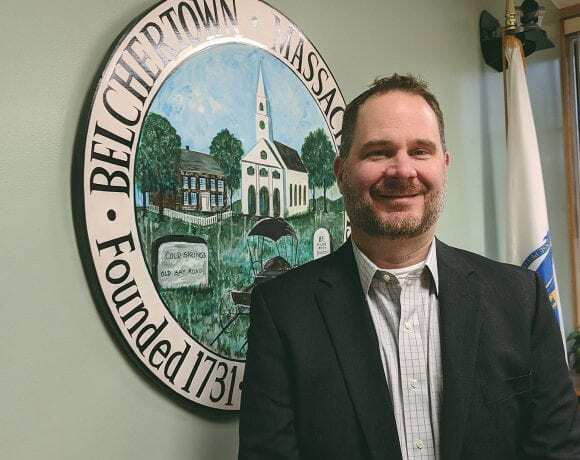 Bealliveau says Easthampton is a community that continues to attract residents and businesses to its navigability, the services offered by a wide range of small businesses, its focus on the arts as an economic driver, and much more. And she plans to continue bringing as many of those entities together as she can.